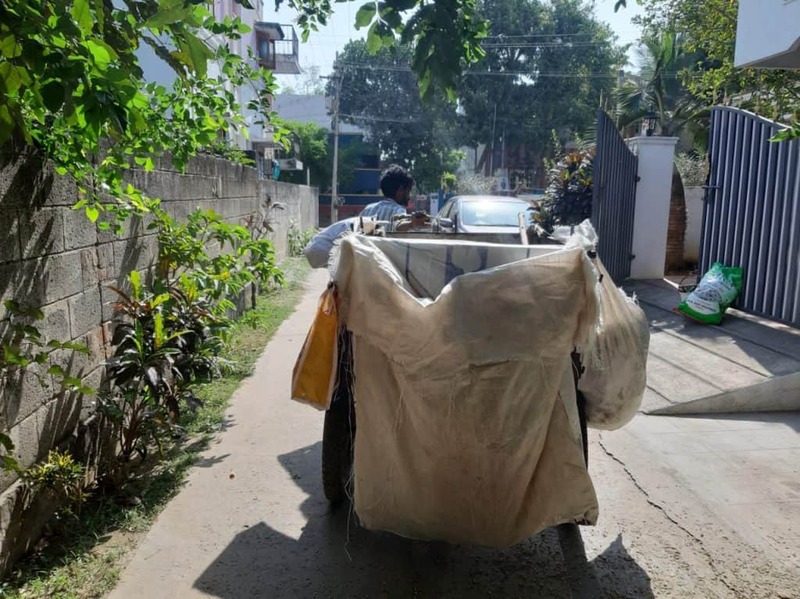 Pushing a green-coloured tricycle in the blazing humid sun, Raju (name changed), a conservancy worker, blows the whistle at Prashanti Colony of Madambakkam. The high pitched sound is an alarm for the residents to wake up from their afternoon nap and bring their waste out to the tricycle. Men and women rush out of their houses, with at least four bags of rotten waste each and start screaming at the worker. “You haven’t showed up in four days. There are no bins in the locality. What do you expect me to do with the waste,” screams one lady. What this homemaker doesn’t know is that Raju has to collect waste from at least 290 houses, segregate it and also find an empty spot in the neighbourhood to burn it. Yes, burn it! 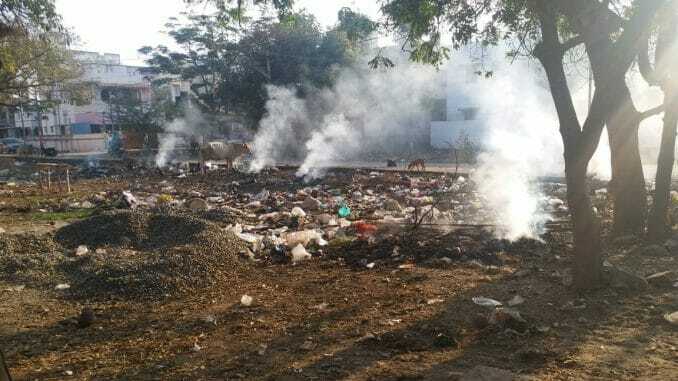 The Madambakkam Town Panchayat itself has ordered conservancy workers to burn the non biodegradable waste after they have segregated the collected waste. 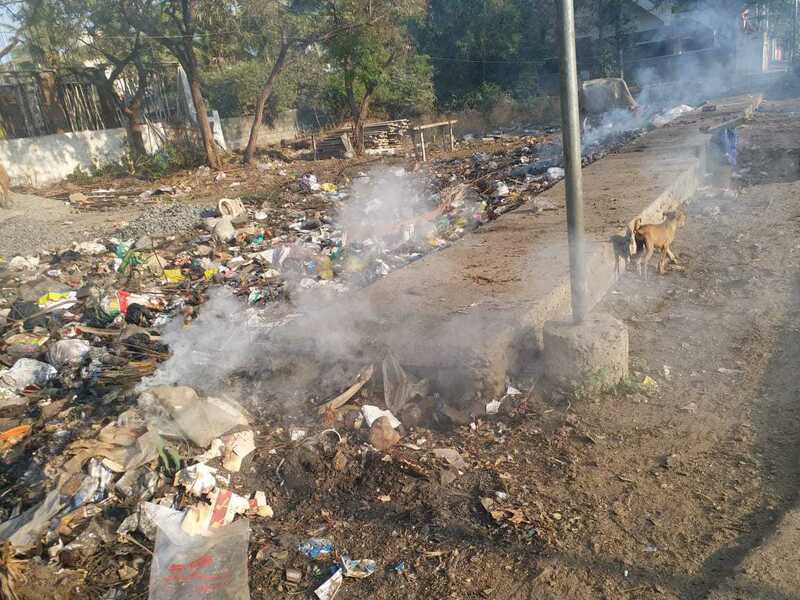 The empty plots in the locality — once filled with unsegregated garbage — are now engulfed in smoke. One can frequently see reusable plastic, paper and biomedical waste being burnt indiscriminately at residential localities like Yashwant Nagar and arterial roads such as Agaram Road. “The town panchayat officials ask us to burn the waste,” confirms Raju. The proposed new rules for the conservancy workers is that each worker should segregate waste, drop the biodegradable waste at the compost yard behind the Camp Road Burial ground and burn the recyclable and non recyclable waste in the empty plots. The civic body has awarded the waste collection contract to an NGO called Hand in Hand India. The organisation is in-charge of hiring conservancy workers and ensuring that the Solid Waste Management Rules, 2016 — segregation at source, processing of waste and recycling the reusable waste — are followed. However, what happens in Madambakkam is a far cry from the mandate. “It feels wrong to burn the waste. After all, we were taught to not burn it all these years,” says Kavitha (name changed), another conservancy worker. Even residents voice concerns. “Besides environmental damage, the smoke will result in harsh health implications for the residents,” fears Arjun Nagu, a resident. Waste segregation at Madambakkam is a chicken and egg situation. 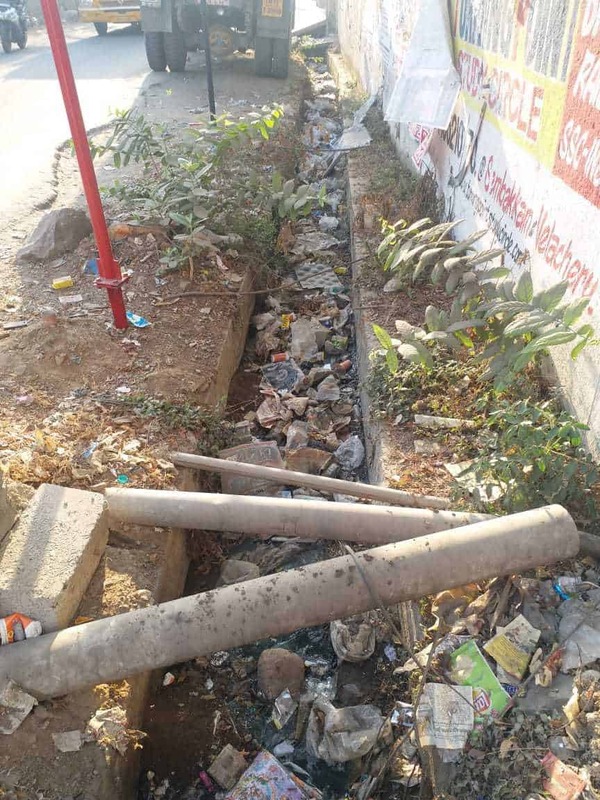 Residents blame the civic body for poor implementation of SWM Rules, 2016: “I used to segregate waste as per the instructions of panchayat officials. But the conservancy workers dump it all together in the tricycle. That’s when I stopped doing it,” says S Chitra, a house wife. On the other hand, panchayat officials say residents are not systematic and consistent in waste segregation practices. “It requires long and sustained efforts to induce behavioural changes among people. In Pammal, where I used to live, Exnora Green Pammal used to conduct weekly sessions on waste segregation. Now, Pammal is among the cleanest localities in the city. Such measures are absent here, the reason why waste management is such a problem at Madambakkam,” said Gopalakrishnan R, a resident. 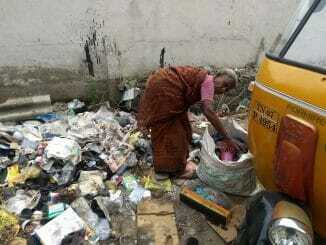 We made calls to the Sanitary Officer of Madambakkam, Srinivasan and the officers in charge at Hand in Hand India. They denied the allegations, but the pictures of waste burning across the Madambakkam (every day) speaks volumes about the official inaction. Unfortunately, the supervisors of Hand in Hand seem to be keen on waste collection, but not so much on segregation at source. As residents do not segregate waste, the supervisors ask the conservancy workers to do so, even without providing them with proper equipment. “Green friends (as we call conservancy workers) take an oath everyday that they will not indulge in burning the waste and collect only segregated waste. There was a mass quitting of green friends at Madambakkam, due to which waste collection in itself posed great difficulty. We are taking steps to streamline segregation at source,” says Kannadasan, Project Manager, Hand in Hand. “Around 2000 houses segregate waste in the town panchayat; we are conducting camps to sensitise more residents. None of the Hand in Hand workers burn waste officially. We never give such instructions, as it is against our policy,” says Selvin, Supervisor, Hand in Hand. 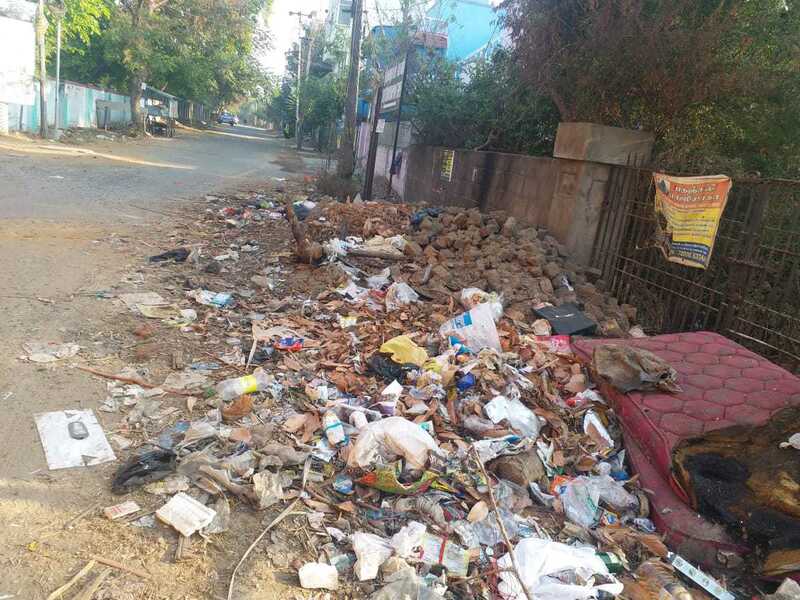 Madambakkam Town Panchayat, with 15 wards and 13,260 households produces an average of 10 tonnes of waste every day, according to an official from the civic body. The 19 workers deployed by the panchayat are in charge of sweeping the streets. Waste collection in 13,260 houses is carried out by the 45 workers from Hand in Hand India organisation. These numbers imply that each conservancy worker is in charge of collecting and segregating waste from 294 houses every day. “Instead of sensitising citizens to segregate waste at source, Hand in Hand India and the panchayat officials are forcing us to segregate. It is physically impossible to collect and segregate waste for 294 houses everyday,” says Kumaran(name changed), a conservancy worker. Strains of rotten waste and bruises can be seen on Kumaran’s hands. In gross violation to human rights, these workers are not even provided with proper hand gloves. “The gloves we are given tear in two days and officials take forever to replace them. After meddling with waste the whole day, I feel nauseated. I do not even feel like eating. Such is our horrible plight,” adds Kumaran. Meanwhile, the shortage in conservancy workers has left citizens in a spot. 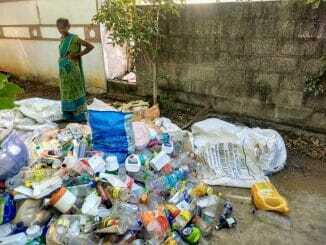 Most of them simply dump their garbage in the vacant plots, as there are no bins in the locality. The suburban locality has umpteen number of vacant plots, bought by real estate players and residents years ago. “Due to fast growing land prices, many residents invested in real estate. The unused plots among those, filled with garbage, have become breeding grounds for mosquitos and germs,” says Arjun Nagu. 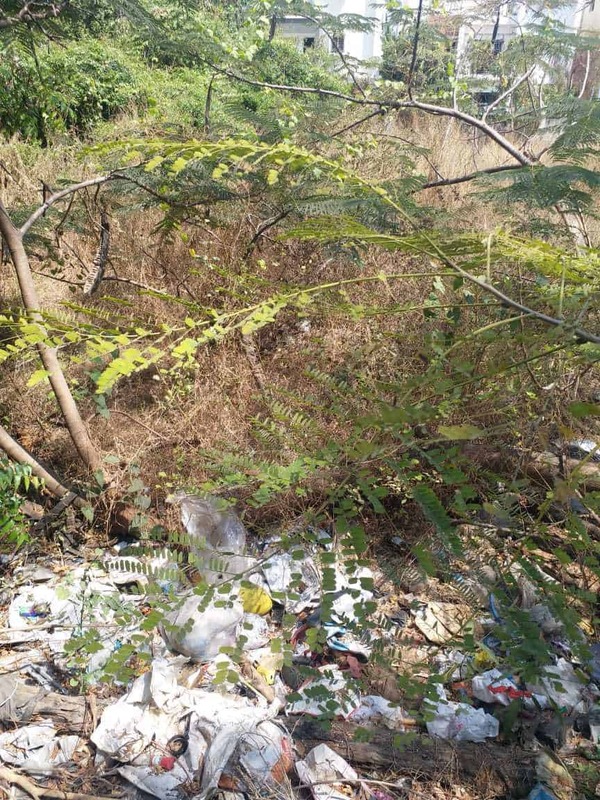 “The town panchayat has been receiving hundreds of complaints about garbage burning and mosquito menace from the vacant plots. We are taking steps to trace the owners of the plots to ensure that the land is compounded,” said Ganesan, Executive Officer, Madambakkam Town Panchayat. It is, thus, ironical that the civic body and Hand in Hand India are using the same vacant plots to burn collected waste, as confirmed by more than one conservancy worker. There are localities in Chennai such as Vallimmai Aachi Street in Kotturpuram, Triplicane and Tiruvottiyur, that Madambakkam can learn from. In these, conservancy workers are trained so well that they do not collect unsegregated waste from households. Conservancy workers themselves educate the citizens on the need for and methods of segregating waste at source, in keeping with SWM rules 2016. However, Madambakkam has a long way to go before it can attain such standards. Not only in madambakkam. Entire wards under Sembakkam corporation is burning which is surrounded by only smoke. Who cares??? Many a times fighting between the corporation employees and public. Corporation employees say they have instruction to burn what they are doing. 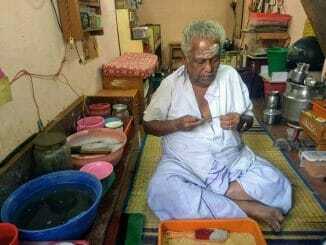 A resident of Madambakkam, the right article at right time. Hope some action is taken. It’s an eyesore to see how people throw heaps of plastic bags and garbage in empty plots and on road side. I wish the waste collection is streamlined. Ban on plastic bags us a boon and I hope to see garbage menace reduce. We are facing man power shortage in the Madambakam project since November 2018. In November the Green Friends (people do door to door collection and processing of waste) engaged in the Madambakkam project left en masse. They were living in temporary shelters which were not hygienic and we asked them to move to alternate accommodation. We offered them to support with rental allowance. But they refused and left the project. We have been trying our level best to recruit new Green Friends. For a month during November – December, we had worked with less number of Green Friends with lot of difficulties. As of now there are 50 Green Friends and we are trying to bring in more people. They are asking for better pay, which we have requested the Panchayat. They panchayat assured us to support after the election process. Man power shortage is a big problem in the project. They have asked us to wait till the election process is over. Recently the Town Panchayat cleared all the historical waste in the existing dump yard. They instructed us and the Panchayat workers not to dump any new waste there. We are handling the residential waste, and the Panchayat workers are handling waste from commercials and main roads. Whatever the segregation efficiency is, there would be 25 to 30% ‘left over waste’ which need to be disposed. They have instructed our Green Friends to dump all the ‘left over waste’ in RRP (compost yard) and segregate, which is a herculean task. We have given strict instruction to our Green Friends not to burn waste, which we are reiterating every day during roll call. Some of the Panchayat workers might have done so, which we had taken to the knowledge of the Executive officer. He strictly instructed them not to burn waste. Lack of proper dump yard is a pressing issue in the projects located adjacent to the city. We are in discussion with the senior officials of Town Panchayat administration for a long term solution. We have dedicated WhatsApp complaint number. The residents in our project locations shall post their complaints to: 8056017841. Also shall mail to info@hhids.org. Hand in Hand Inclusive Development and Services.